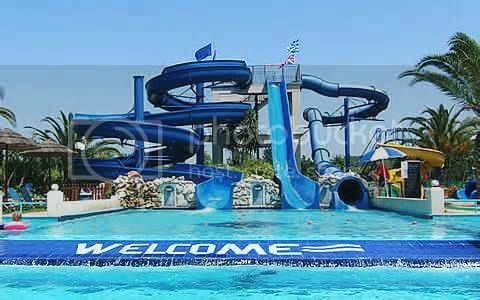 Welcome everybody we are going to spend a week at a pawsome water park. There will be lots of rides and fun ways to keep cool. Come on in and join us. I'm so glad you all made it. We will have lots of kewl rides and yummy food. 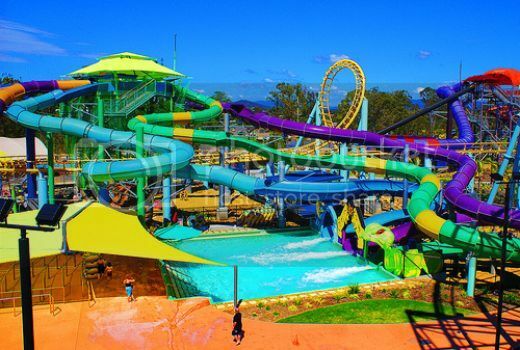 OH boy a Water park. They's lots of fun. Concats Abby, enjoy your week a the helm! How about some more rides. 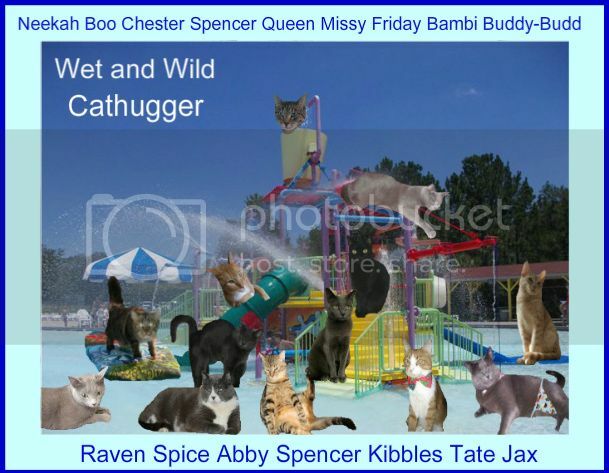 What a great pic of us kitties having fun at the water park. I just gots to take that tie off. MOL! I wants to go down that slide. I love this picture to Abby! Its awesome! Kibbles you look good in your tie. I think you're getting a pawsome shower Bambi. I'm glad you have your thong, not tong on Chester. MOL. No floaties as we are all big kitties now.